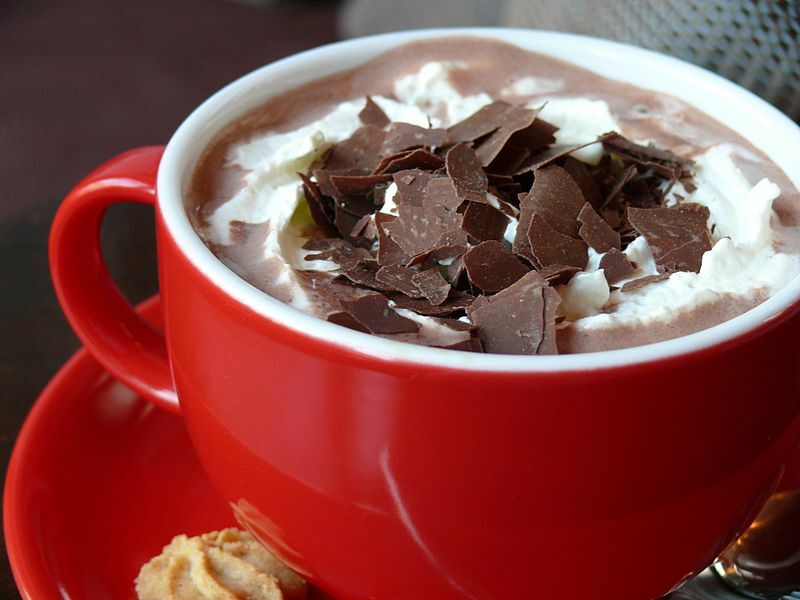 Enjoy the warm, rich, chocolate goodness of this simple hot cocoa (without milk). It has butter so it cannot be called dairy-free, however even the most lactose intolerant can usually tolerate a small amount of high quality grass-fed butter. 1. Gently heat and whisk together the cacao, cinnamon, coconut milk, butter and coconut oil (or MCT oil) in a small saucepan. 2. Place the saucepan over medium heat and bring to a simmer, add the sweetener of your choice and sea salt, whisking until all ingredients are well blended..
3. Pour into mugs, top with a large dollop of the whipped coconut cream (if using), dust with cocoa powder and cinnamon – Enjoy! This recipe has a ton of high quality fat, enough to make some nutritionally minded calorie counters choke. Try it this way and add a little water or boxed coconut milk (which has a much lower fat content) to thin it down afterward if it’s too rich for you. Whip some up and let us know how you like and what changes you’d make.